Regardless of whether labor is long or short, whether it is hard or easy whether a baby is born vaginally or by cesarean, most parents recall the first hours and days after birth as crystal-clear images surrounded by haze. It is in this haze that you first take in your baby and make a giant leap from pregnancy to parenting. Despite all the anticipatory parenting done before conception and during pregnancy, despite weeks of feeling movement within and fantasizing about your baby, despite months of having strange dreams, worrisome thoughts, and musings about what kind of parent you will be, the first time you hold your baby in your arms and call yourself mother or father, mama or papa, mommy or daddy, an awareness floods over you that life will never be the same again. Another human being is now dependent upon you for survival. More than anything else, you want to be the best parent possible. Your awareness of your baby’s dependency and your desire to be a good parent will together be a great source of energy and a great source of stress. Both are part of being a parent. Becoming a good parent means much more than knowing a lot about babies. Ask pediatric doctors or nurses what it was like for them to be new parents. They will tell you that all their knowledge about babies was not enough to keep them from being over whelmed by their own babies. All new parents feel the same way. All new parents work at knowing, understanding, and loving their babies. Your baby will work just as hard at learning to know, understand, and love you. This is the process of attachment-the work that parents and babies do together to form a deep and lasting love. It is what becoming a family is all about. 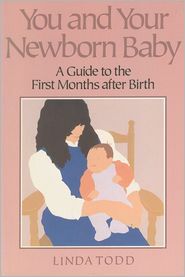 This book is written to give you some help as you make the transition from pregnancy to parenting. It offers ideas on things you can do to make this time of change easier. It is written as much to encourage as to teach you. Besides providing the information you need about taking care of yourself and your baby, it can help build your confidence in your own wisdom about your family’s needs. You will find the postpartum period easier if you know what to expect during this time, if you actively participate in health-care decisions, and if you build a network of support that nurtures your growing family. New families in the United States face some challenges that families in most other countries do not. In the United States, where nearly 99 percent of women give birth in hospitals, the average hospital stay after childbirth is two days for a woman who has given birth vaginally, three to four days for a woman who has given birth by cesarean. In many communities, new families are discharged from the hospital within twenty-four hours of birth. Such early discharge will probably become the norm by the year 2000. In most other countries, both industrialized and developing, the postpartum period is seen as being at least as important as the prenatal period. Because of this, women giving birth in hospitals have longer stays. More importantly, services are brought to the homes of new families. No matter how long the stay in a hospital or birth center, the family’s transition to home-and to sole responsibility for the newborn-is overwhelming. in many countries all new families are visited at home by midwives, nurses, or other trained personnel who teach parenting skills, assess the mother’s and baby’s health, and provide moral support (and sometimes, as in the Netherlands, government-paid helpers do the housekeeping!). In the United States, such services are now provided to only a small minority of women. The day after birth, you may ache all over from the work you did in labor. Your arms and legs may be sore from pulling back on your legs while pushing out the baby. Although achy legs are normal, tenderness, pain, or warmth in your calves and swollen or reddened veins are warning signs that you should report to your doctor or midwife immediately. These signs could indicate thrombophlehitis, an inflammation of a vein that can result in formation of a blood clot. Postpartum women are at slightly increased risk of this because the vein walls normally relax somewhat in pregnancy. To reduce the risk of thrombophlebitis, increase circulation in your legs by doing foot rotations and by getting up and walking soon after birth. Thrombophlebitis is treated with bed rest, elevation of the affected leg, hot packs, and the use of elastic stockings. Medications may also be needed to prevent infection and clot formation. The affected leg should not be massaged. Joints that relaxed in pregnancy to allow for the baby’s growth and birth will return to their pre-pregnancy condition within several weeks of birth. Many women, however, feel that the rib cage and pelvis remain slightly expanded for the rest of their lives. Abdominal muscles are relaxed after birth, so the abdomen is soft and still rounded. All women have some degree of separation of the abdominal muscles, which lessens with exercise. Any stretch marks you have will seem more obvious after birth than before. Although stretch marks never completely disappear, they fade to silvery white lines in the months after childbirth. Darkened areas of the skin, such as the areola and the linea nigra, a dark line from the belly button to pubic bone, may tighten but may not completely fade. Many women note changes in their hair after birth-most commonly, profuse hair loss. This is because pregnancy hormones stimulate hair growth. With the drop in these hormones, the extra hair that grew in pregnancy will fall out. This begins around three months after birth and usually ends within a couple of months. Perhaps the most common feeling of new mothers after childbirth is that of being bone-tired. This seems especially true of women who have just had their first babies. Often, fatigue is combined with such excitement in the first days that sleep is difficult. The usual aches and pains of the early postpartum period can make it even harder to sleep. But beyond the first few days after birth, most women find daily naps are essential to their well-being. Each woman recovers in her own unique way after cesarean birth, just as after vaginal birth. Pain medications can help during the first few days (the medications given are considered safe during breastfeeding). The nurses will assist you in getting up the first time, learning to cough or huff to keep your chest clear, dealing with the gas that can follow surgery, and learning to hold your baby in ways that are comfortable for you. If assistance is not available when you need it, press your call button and ask for help. All new parents can benefit from assistance at home after childbirth, but for a woman who has had a cesarean birth such help is essential for at least the first week. Not only are you undergoing a transformation to a nonpregnant state and learning to care for your new baby, you are recovering from major surgery. Adequate help, allowing you to rest often during the day, can make a great difference in how quickly you feel strong and well. Taking care of yourself and your baby should be your only duties until you feel ready to take on more. Limit stair climbing as much as possible. Don’t lift anything heavier than your baby for the first two weeks. Ask your mate or a friend to do laundry, vacuuming, and other tasks that require bending, lifting, or pushing for at least the first few weeks after birth. Then resume such work gradually. Do not drive a car for the first two weeks. Take showers instead of tub baths until the incision is completely healed and dry. Ask your doctor or midwife for specific instructions on the care of your incision. Like her labor, a woman’s initial response to her baby is something she remembers for a lifetime. Women greet their babies in as many ways as there are mothers. Before they give birth, most women anticipate a rush of loving feelings, or even tears of joy. others anticipate instantly “feeling like a mother.” Some women actually experience these things. Many do not. Sometimes, a woman experiences a temporary holding back from the baby whose birth caused pain or emotional trauma. A new mother may have a feeling of distance-which in retrospect may seem like disinterest. Or she may feel a strong need to attend to herself, pain and exhaustion compete with interest in the baby. in retrospect, she may see herself as selfish. Coolness, distance, self-centeredness-none of these fit with any woman’s conception of a “good mother.” Because of this, many women say they feel guilty about their initial responses to their babies. Many women speak of feeling outside of themselves after labor. It is as though one’s personal boundaries are hazy. Is it any wonder that women feel they are not taking their babies in-“as they should?” They can hardly take themselves in! This is to be expected. Most women say it takes days to come back into themselves. This is the natural rhythm of things. Something amazing is going on. As boundaries are reclarified, they are also redefined. You are now a mother. Your baby is no longer one with you, as in pregnancy. But the new boundaries are extended, to connect you for a lifetime to this other person. This connection is the essential work of the first months of parenting. You may have all the loving feelings you anticipated, but if you do not, give them time to evolve, as you do the work of taking on your new role. Is there a change in the baby’s behavior? Is the baby crying more than usual? Has the tone of the cry changed? Is the crying at a different time of day than usual? Is the baby more irritable than usual? Is the baby sleeping more or less than usual? Does the baby seem lethargic or listless? Has the baby’s appetite or digestion changed? Is the baby eating less than usual? Has the baby vomited more than once? If the baby is vomiting, is the vomiting forceful? (This is called projectile vomiting.) Are there signs of constipation? That is, are the stools hard or more solid than usual? Are there signs of diarrhea? That is, are the stools watery, or more runny than usual? Are they more frequent than usual? Is the baby urinating less frequently than usual? Has the color of the urine changed? Has there been a change in the baby’s breathing? Does the baby seem to have trouble breathing? Does the baby sound congested? Does the baby have a runny or stuffy nose? Is the baby coughing? How does the baby look? Is the baby’s skin pale or flushed? Is there a rash anywhere on the baby’s body? Do the baby’s eyes look glassy or dull? Is there any discharge from the eyes? Does the baby have a fever? The signs of illness about which you are concerned. How long the signs have been present. What you need: to have the caregiver return your call; to speak to the caregiver immediately, if you feel this is an emergency; or to arrange for the baby to be seen as soon as possible. Make sure it has no corner posts. older infants can catch clothing on these. Check that the crib slats are no more than 2 3/8 inches apart. Never put a baby in a crib that has missing slats. Make sure that the mattress is firm, and that it fits tightly within the crib rails, with no more than a 1-inch space (two fingers width) between the rails and the mattress. Assure yourself that all guide rods and support brackets are firmly in place and secure, and that no screws are missing. Check the locks and latches on the crib. They should be smooth, and tight enough to prevent accidental release. Be certain the paint used on the crib is lead-free. If it isn’t, the old paint should be removed. if you’re pregnant or nursing, have someone else do the stripping, preferably away from your home, or at least outside the house and away from any play or garden area. New paint should be a high-quality, lead-free enamel recommended for children’s furniture. Some babies do chew on their cribs, and ingesting lead can cause brain damage. If your crib is new, remove and discard all plastic packaging materials, including the thin plastic mattress cover. As with a used crib, check the guide rods, support brackets, locks, and latches, and make sure no screws are missing. With any crib, new or old, place the crib out of reach of any cords, electrical sockets, or other hazards. Keep crib rails up at all times when the baby is unattended. As soon as your baby can pull himself or herself up, move the mattress to the lowest position. There should be at least 22 inches between the mattress and the top of the rail. If you plan to use a bassinet or cradle instead of a crib, many of these same safety tips will still apply. Expectant parents know they will have a lot to learn after their babies arrive. They know it will take time to feel confident about diapering, bathing, and soothing a baby. Most have been told that feeding, too, will be a learning experience. It is not until after the birth, however, that the true meaning of this is dear. Parents often say they had not anticipated that the baby, too, would need to learn to feed. Also unanticipated is the profound concern parents have that their babies be adequately nourished. Even as adults, many people are greeted by their mothers with the questions “Are you hungry? Do you want to eat?” These are questions you will find yourself asking your baby. It is natural for you to feel somewhat anxious when the baby’s answers are not as clear as you might like. Following are some basics about feeding that can guide you as you gain experience. Feelings after Birth. Fathers who are present at birth are, more often than mothers, captured by the baby immediately. Whereas women may need minutes, hours, or a few days to feel connected to the baby, fathers often feel the power of this connection at the moment of birth. Unless the mother or baby is in some danger just after birth, the father is likely to find these moments life-changing and exquisite. These feelings are often blended with a sudden awareness of exhaustion. A father also experiences new feelings about his mate. He may speak of his amazement at her courage, strength, and endurance during labor. He now faces the task of integrating his memory of her in labor with his previous knowledge and feelings about her. A father may have to work through feelings he experienced while supporting the mother in labor. One of the most common feelings fathers speak about after labor is that of helplessness. Unless he is told, a man may not know how much his presence and emotional support really meant to the laboring woman. A man may also feel that the labor experience has altered his whole life view. He may have gained a sense of the miraculous and spiritual, of a deeper meaning to life. Not all fathers, of course, are able to share the birth experience. A lot of fathers who missed their babies’ births worry that not having been there will affect their relationships with their babies. Birth is a special moment in the parent-child relationship, but it is only one moment. The years of child rearing provide many other shared moments that are just as important in the development of a relationship between father and child.